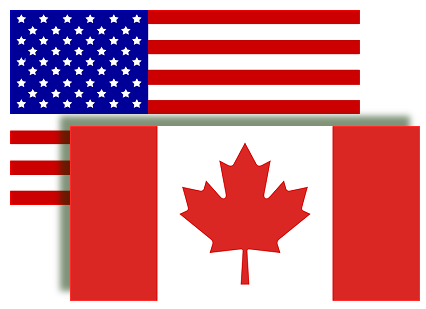 SBS Hot Tubs Direct - Canadian hot tub suppliers - delivery throughout the UK. 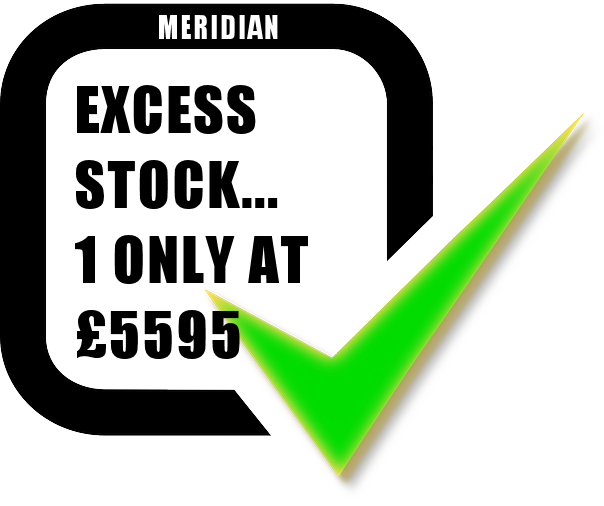 Hot Tubs For Sale Factory Direct in the UK - Dorset, Hampshire, Surrey and throughout the south coast, and the rest of the UK ! With hundreds of happy hot tub customers enjoying their new relaxing and healthy lifestyle - and with our Lotus Fresh natural chlorine-free water care it's like having spring water in your tub and with no need to change it every 3 months. 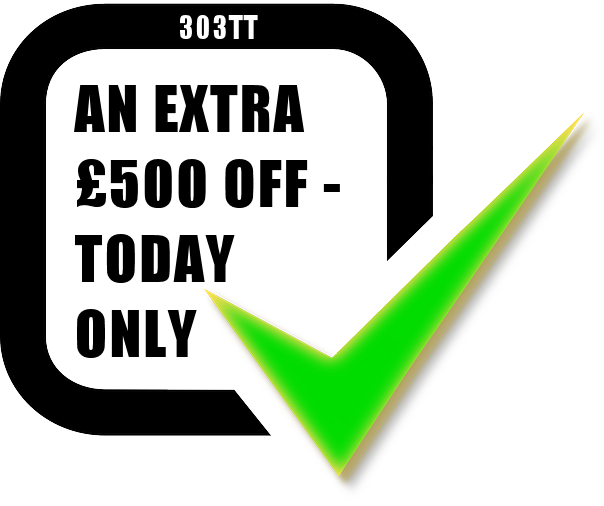 Price includes free local delivery, steps and starter cleaning pack. We have been supplying and installing hot tubs all over the UK for over 15 years and would love to help you choose your next reliable, high quality, low maintenance hot tub ! Built with USA pumps and Balboa electrics. Proud to be Canadian build quality. 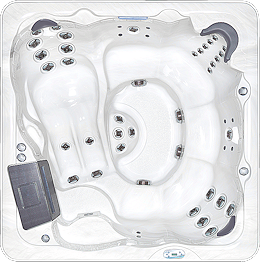 Canadian built hot tub with 6 seats, 50 jets, 2 pumps, Ozone. Canadian built hot tub with 6 seats, 51 jets, LED waterfall, surround sound, Ozone. 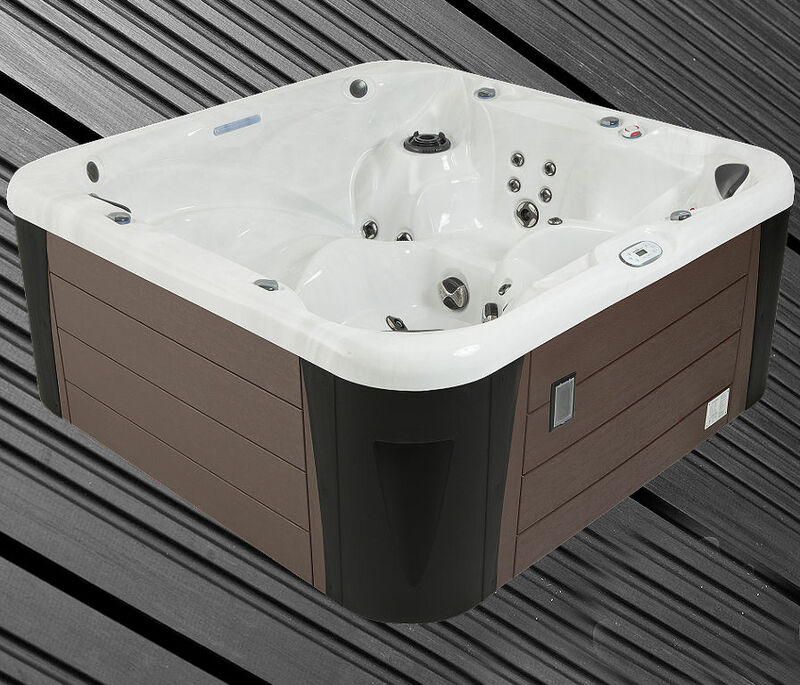 The build quality of Canadian hot tubs are very high and regarded as the quality leader in tough all weather spas, maximum insulation and wet weather durability more than durable enough for the UK temperate climate, engineered for long term ownership - double or more of the life of Far East built hot tubs. When asked how his spa use and operation of the hot tub was working out, Mr J replied "Absolutely Brilliant"
Includes free local delivery, steps and starter cleaning pack. Not sure what hot tub to choose? Swim spas and training / exercise pools have to be considered carefully, you shouldn't simply buy one online because you need to discuss the features and usage with an experienced supplier and someone that understands exercise and swimming, as well as the spas themselves. 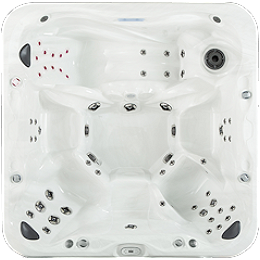 For swim spas with more powerful swim currents for fitness training, a larger swim area and either with an included hot tub massage area or separate hot tub area, we can advise on the best model for your use. Most models have a good coloured light system and/or music system so the swim spa can also be a relaxing party pool for socialising. Water care is something most people want to be as automatic as possible. Budget models require some manual chemical maintenance of a few minutes a week, whereas higher specification models can have automatic salt systems taking care of sanitation of the water and UV systems removing organics and cosmetic products from the water. 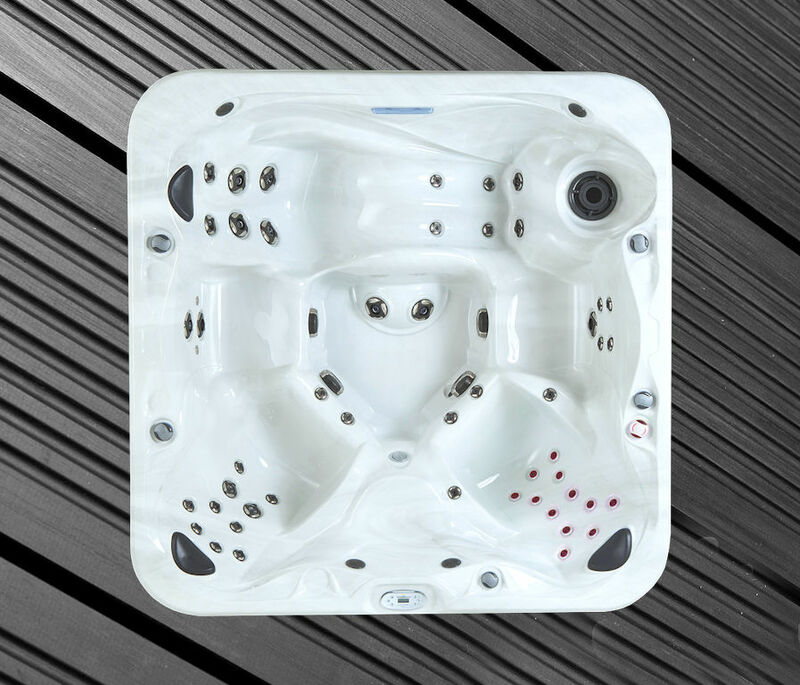 Our range of swim spas should suit all requirements, but if not, we do have other options and have built jetted pools in the past to specific customer requirements. Please come in and talk to us or we can visit you, as the position and access for a swim spa is something everyone requires advice and guidance on to achieve the best solution. 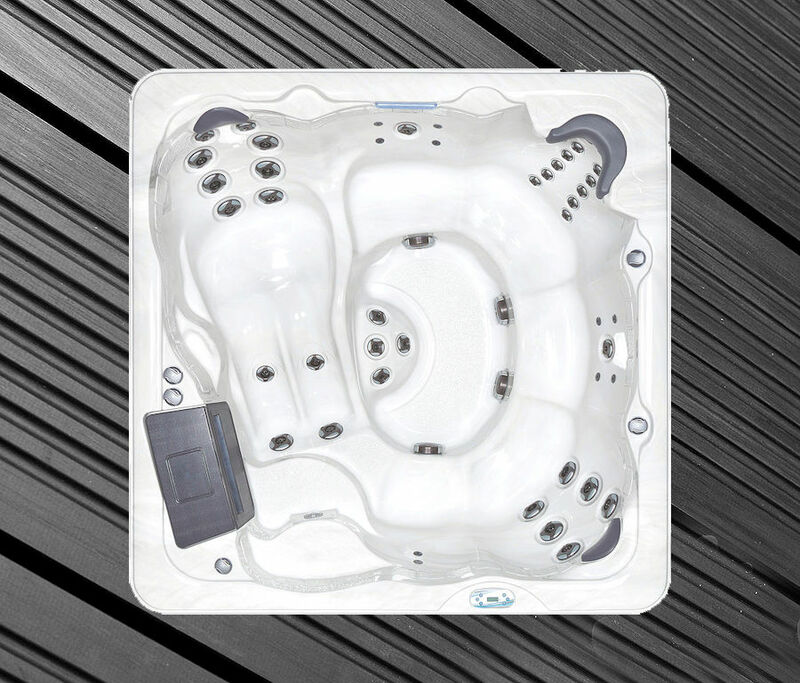 All our swim spas have full 24 hour UV water filtering. We deliver, install and support you and your hot tub from our local base in Poole in Dorset. SBS HOT TUBS & SPAS? 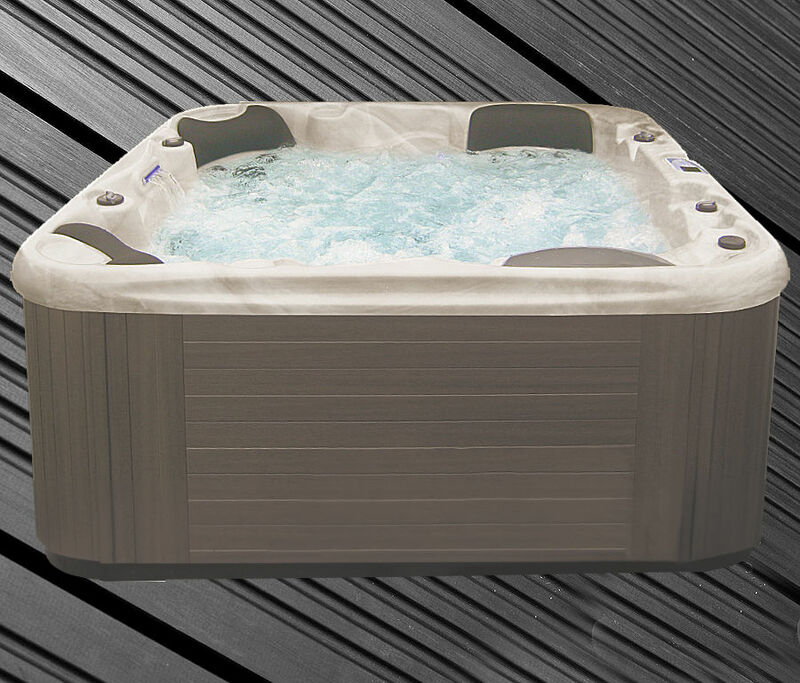 We only offer the very highest quality hot tubs . 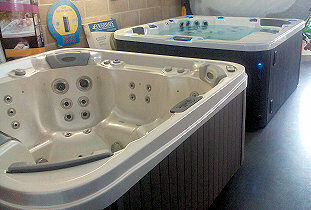 Showroom - come and try your next hot tub. Planning your hot tub - we can help. 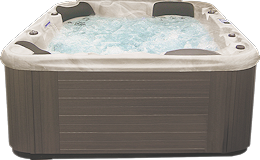 We offer factory direct quality hot tubs, not cheap hot tubs, but we do have great outdoor hot tub deals because we supply the best hot tubs direct and have some great deals on discount hot tubs. 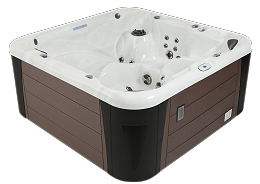 We have hot tubs from Canada on display in our hot tub showroom so you can buy your luxury hot tub with confidence. If you are looking for hot tubs in Hampshire we can definitely help you - we started life as "Dorset hot tubs", but now supply throughout the UK. We tend not to offer portable hot tubs but do have years and years of experience in supplying garden hot tubs and home hot tubs and can provide lots of hot tub reviews from happy hot tub customers. 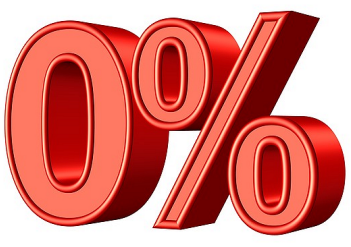 Many people start out looking for hot tubs for sale "near me" and include "Balboa hot tub" because they know the name, but this relates mainly to the hot tub controls rather than the spa pool itself, so if you are looking for the highest quality, but best hot tub price, or special offer hot tub, please do contact us today. 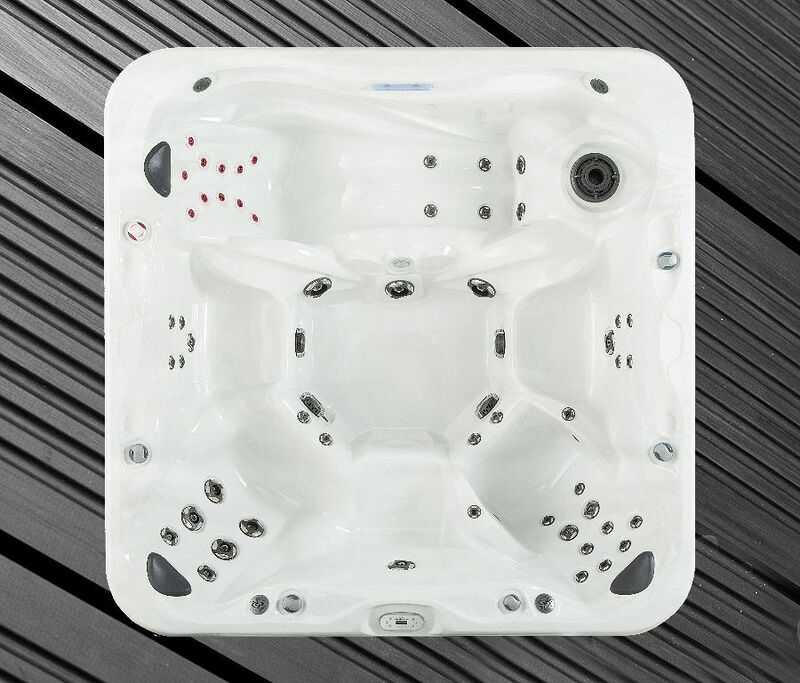 We have been selling and delivering 100's of spas all over the UK for 15 years, with a high number of customers here in Dorset and also Hampshire. We have the equipment and knowledge to deliver spas to any garden, if it's possible we have done it occasionally using cranes. 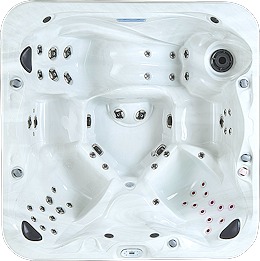 The factory prices you see on the these pages are factory direct, there is no middle importer, we are the importer and retailer, the Sunrise Spas range of hot tubs are shipped from the Canadian factory / warehouse directly to us at SBS Hot Tubs Factory Direct. The electronics are Balboa, USA made and the spas are Canadian built using very modern unibody techniques, making a very strong and economical hot tub shell and main body, a big step forward over wood framed hot tubs. Please ask us more about this as this newer process means a longer life for the hot tub in your garden. 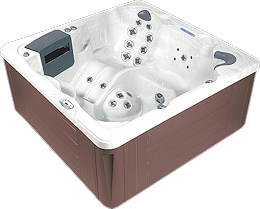 As with any consumer product you always have concerns about the life of your purchase and its running and maintenance costs - Sunrise spas have been making hot tubs for over 30 years and they only use the most reliable Balboa electronics and the hot tub build & equipment has one of the longest warranties in the industry. 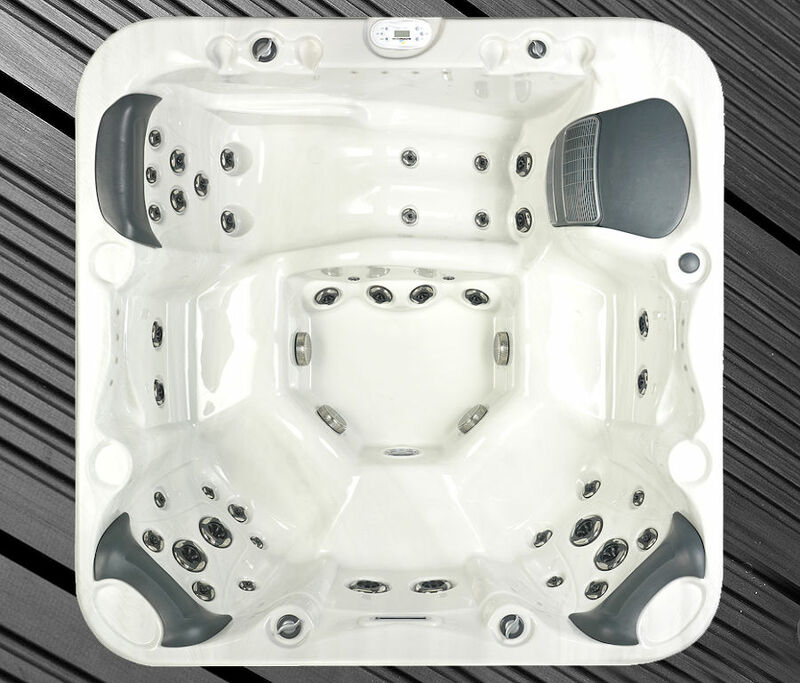 The hot tubs are rated for good efficiency and all Sunrise hot tubs are CE approved and have the toughest fit-for-purpose manufacturing standard. 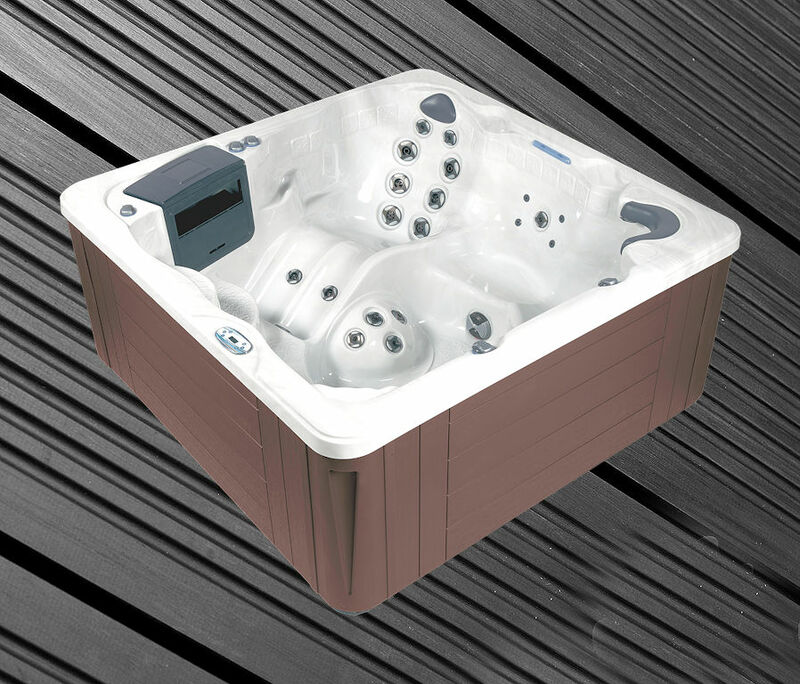 The factory built 24 hr filtering system as a special feature for our range of hot tubs. The 60 watt dedicated filter pump keeps the water cleaner than part filtration spas that only filter for a few hours a day, the small filter pump filters 24 hours a day with the ozone generator running also 24 hours a day, if you see more about ozone on our pages here or on other Ozone water treatment sites, you will soon realise Ozone is a win/win feature, you can use low-chem products, no need for chlorine, Ozone will kill any germs in the water and oxidise out any organic matter from the water from bather use, cosmetics, detergents from swim ware cutting chemical use 60% or more. a good number of the larger massage jets - (not all small Euro jets, so often seen on budget spas on the Inter net sites). 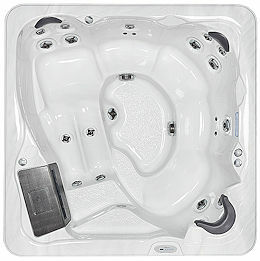 The range of "Home Hot Tubs" spas you see here are in stock in our UK warehouse. 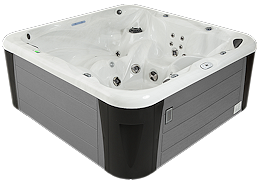 Special colour / spec order is 4 week factory delivery, which is ideal for you to organise your spa area at home and get the electrics in place - if you need faster delivery please check our in stock models. There are another 20 models and many options we can add to any factory order for you with a 4-6 week delivery. You can see a Mid range spa on wet demo in our Poole, Dorset showroom, always hot and ready for you to come along and try. Although our hot tub showroom is in Poole, Dorset we are only within a hour and a half drive from all these locations: Bournemouth, Christchurch, Dorchester, Ferndown, Weymouth, Wimborne, Blandford Forum, Salisbury, Gillingham, Shaftesbury, Mere, Tisbury, Warminster, Amesbury, Andover, Winchester, Eastleigh, Fareham, Portsmouth, Southampton, The New Forest, Lyndhurst, Lymington, Burley, Brockenhurst, Petersfield and Chichester, Worthing, Brighton and everywhere else in between! 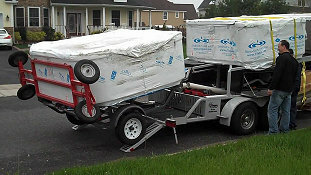 All hot tubs are delivered from our SBS Spas warehouse in Eastleigh, Hampshire (SO50). Our delivery crews collect from the SBS warehouse and deliver to Devon, Dorset, Hampshire, Sussex, Somerset, Wiltshire, Surrey, Kent, Berkshire, Avon, Gloucestershire, Oxfordshire, Buckinghamshire, Hertfordshire, Greater London, Essex and more ! 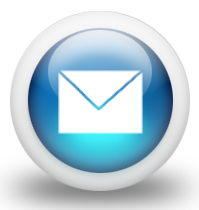 Do contact us to find out more. Why buy your spa from us? 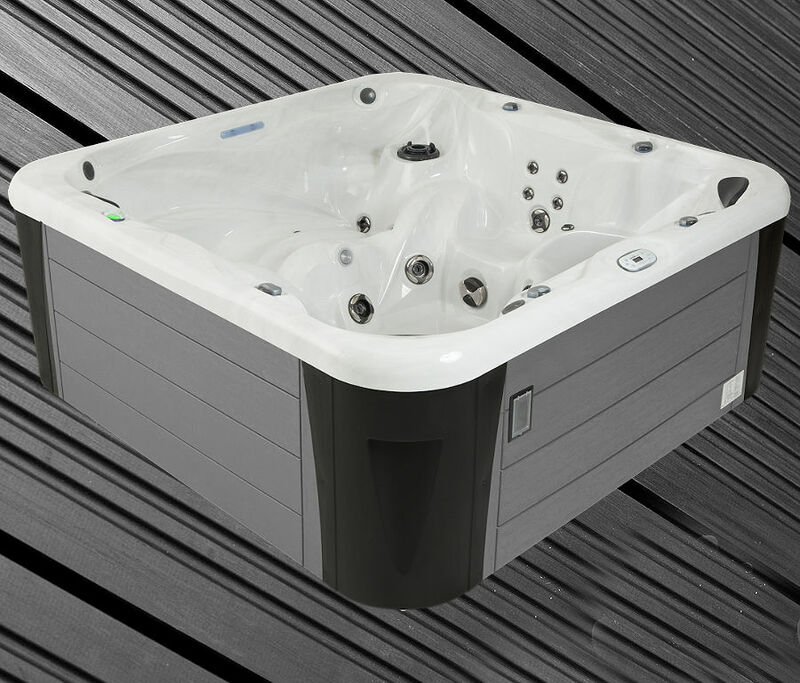 Please text 07436 547553 if you require a hot tub showroom viewing.